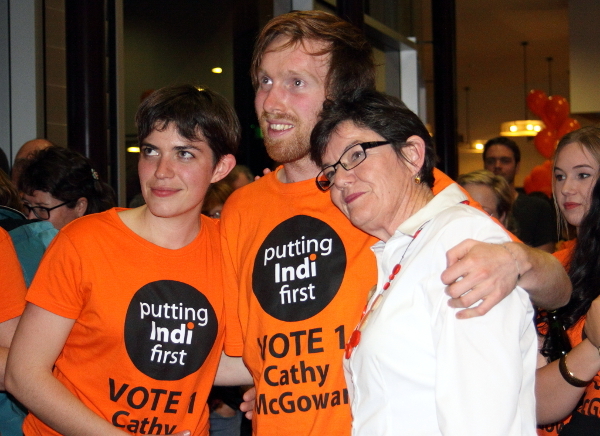 The Voice4Indi candidate Cathy McGowan has hit back at claims by unnamed Liberal sources that she is a front for the National Party in Indi, saying she has support across the political spectrum. Ms McGowan acknowledged she was a close friend of Mr Tim Fischer, a former National Party leader and deputy Prime Minister. Melbourne’s Herald Sun reported yesterday that ‘a prominent Liberal’ in Indi claimed that local Nationals “were up to their eyeballs” backing Ms McGowan. Under an agreement between the Coalition partners, each agrees not to stand a candidate against a seating member of either Party. Mr Gowan told No Fibs that any support from local Nationals “has got nothing to do with me”. 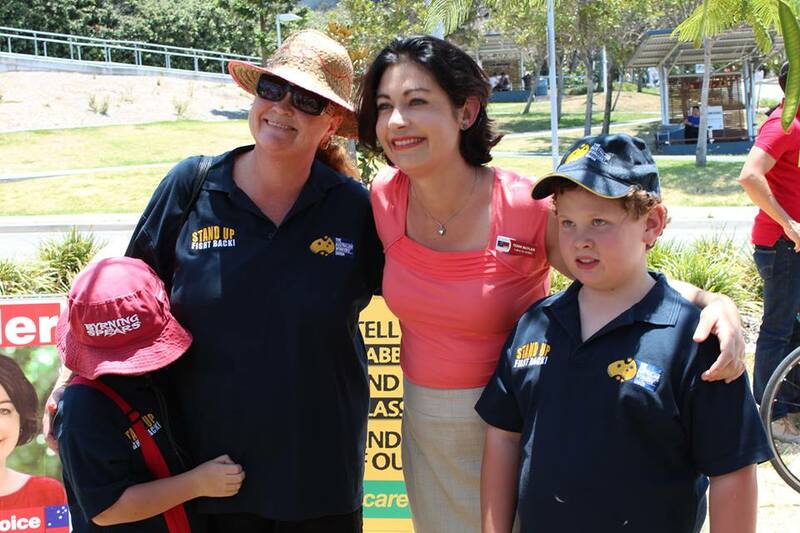 Ms McGowan also addressed rumours that National Party members were on her campaign committee. Sounds as though Cathy McGowan is fully capable of handling the “dirty tricks” brigade. Good for her. It just goes to show that a sitting MP can only take their constituents for granted for so long, before the electorate realises there is a better way & they deserve more. It is good to see that the electorate of Indi will have choices with not just Ms McGowan but the other candidates as well. This will be the first time that conservatives in Indi have a choice – in that they won’t vote Labor or Green and have never given more than 10% to various other, relatively unknown, independents. Cathy is well known, she is basically conservative. Sophie is not well liked and the message is getting through that she does bugger all for Indi – either when in government or not. I am helping Cathy and I am a Labor supporter living in the adjoining NSW electorate of Farrer. PS everyone knows Two Minute Tim (Fischer) – a local politician for all his adult life but he too was useless. Preferences by Labor and the Greens to Cathy McGowan are premature and as such bordering on irresponsible. Some big answers are required from Cathy McGowan regarding policy and detail of policy. Does Cathy oppose cattle grazing in National Parks? Does Cathy oppose the building of more large dams like Big Buffalo? Does Cathy support Off Shore processing of asylum seekers or On Shore processing in Australia? Will Cathy fight to see increased welfare payments for 2.2 million Australians living below the poverty line? Exactly what NBN does Cathy favor, Labors or Liberal/Nationals? Will Cathy oppose the Great Sell Off of Australian lands, minerals, water and essential services to overseas ownership? 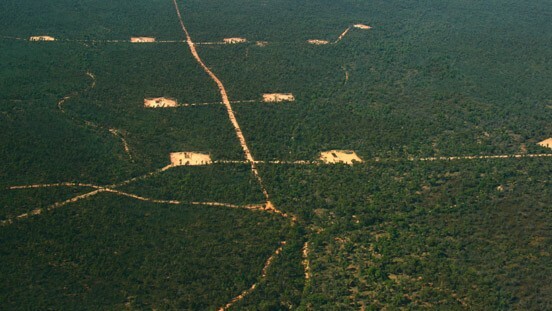 Will Cathy oppose logging of old growth forest? Does Cathy see Global Warming as humanities greatest threat? Does Cathy believe in equal educational opportunity for all children and therefore oppose government funding of wealthy private schools? Will Cathy absolutely oppose any changes to Medicare that increases the cost to average citizens or reduces services to regional Australians? Will Cathy absolutely oppose any increases in the GST in any form up to 2016? Does Cathy support Aboriginal Land-rights and Native Title claims? Finally who will Cathy McGowan support in a hung parliament; Abbott or Rudd? A preference for Liberal is a preference for Sophie Mirabella above Robyn Walsh and contradicts your claim to be not National; no preference is the same thing! The community of Indi deserve to know exactly what Cathy,s policies are; anything less than clear unambiguous answers represents political deceit and trickery and we are all sick of that in Australian politics. Please be upfront and honest so we can replace Sophie Mirabella with someone better.